Interested in comprehensive, quality data about ecommerce topics of your interest? Happy to learn proven ways of growing your online sales? Curious about what international ecommerce experts have to say about improving your conversion rates? Check out our download section. Here you will find plenty of FREE ebooks dedicated for eBay and Amazon sellers as well online store owners. It’s for all those serious about multiplying their sales figures. What’s in our ebooks? 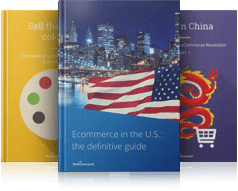 International sales reports, analysis of ecommerce markets, country/marketplace reports, analysis of seasonal events and international holidays driving sales, advice from international ecommerce experts and much more! Our ebooks are rich sources of information, stats and practical selling tips. They contain high-quality, carefully selected facts, trends and data, showing you proven ways of growing your online sales. And the great news … they’re all FREE OF CHARGE! If you want to minimize your efforts and maximize your online sales, you’re in the right place! [FREE ebook] A time of rebirth for your online store: ecommerce Easter is coming! [FREE ebook] Impact of Brexit on international ecommerce: will you sink or swim?